Before Candy Boy (Kyandi Boi in Japanese) was a series, it was first released as an original net animation which lasted around eight minutes during November 22, 2007. A year later, it was followed by its seven-episode series which ran from May 2, 2008, to May 8, 2009. 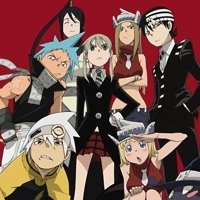 Both the original net animation and the seven-episode series is directed by Takafumi Hoshikawa and under the studio of AIC (Anime International Company, Inc.). 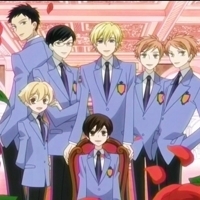 The story’s genre is a romantic comedy focused in the high school setting between the characters. 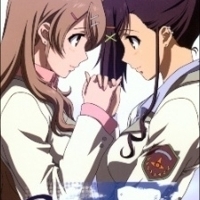 The romance in Candy Boy revolves around the blossoming affection and love between twin sisters Yukino Sakurai and Kanade Sakurai which experiences disputes due to Sakuya Kamiyama’s strong feelings towards Kanade. 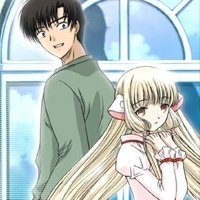 Aside from being a romantic school comedy, Candy Boy’s genre is also under the category of Shoujo Ai (Romance between girls). 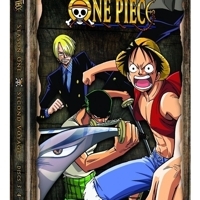 In addition to the original net animation and its series, Candy Boy had two extra episodes released in its DVD edition which occur at different times during the series. 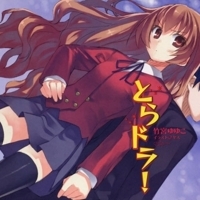 In November 2009, a Manga adaption was also published by Media Factory entitled Candy Boy and Candy Boy Young Girls Fall In Love!. 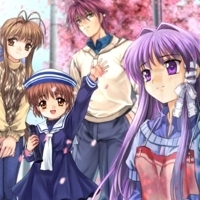 The manga adaptions, unlike the original net animation and series, have four additional characters namely Yuriko Takanashi, Eri Miyagi, Masumi Kurasuma, Isako Mikanagi – three of which are Sakuya’s classmates and one being Kanade’s classmate. Coming from the Hokkaido region of Japan, twin sisters Kanade and Yukino Sakurai move in the same room at their school dorm in Tokyo. During this time of having a fun filled school life, a first-year student named Sakuya Kamiyama approaches Yukino and professes her admiration for her twin sister, Kanade – that of which, Sakuya claims to be love. After confessing her feelings for Kanade to Yukino, Sakuya asks for Yukino’s support. Knowing about Sakuya’s feelings, Yukino begins to trade photos of Kanade to Sakuya in exchange for gift certificates, candies and other things. 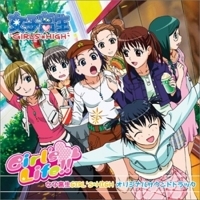 In its original net animation, the story starts off with Kanade Sakurai noticing her twin sister, Yukino, and underclassman, Sakuya Kimiyama getting close. From this observation, she assumes too quickly that the two are dating and decides to distance herself from the couple. Being close to her sister, Yukino gets distressed by Kanade’s detachment from her. She eventually confronts her twin sister about this, and soon, Kanade discovers that her assumption was wrong after all. 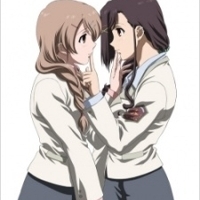 Sakuya and Yukino had become very close because Sakuya was asking advice on her feelings for Kanade. As time goes by, circumstances led Yukino and Kanade into barely having time for each other. Because of the lesser time they spend with one another, Kanade realizes that her relationship with her sister, Yukino, was slowly fading away. The twins share a very close and intimate relationship with one another to the point that they make jokes about kissing the other, and sleeping in the same bed despite having a double deck in their dorm. Each and every day, they take a train going to their school where Sakuya, their underclassman, stalks and admires Kanade up close, making Kanade feel awkward about all the comments she gives. While this goes on, the twins hurriedly depart from the train station to go to school, leaving Sakuya behind as she is stuck in a daydream. On one of their rides going to school, Yukino tells Kanade about the hard dedication Sakuya has. Even though Sakuya lived just near the school, every day she would take a ride to the twin’s dorm just to see Kanade. Then Yukino asks Kanade if she were Sakuya, would she also take the time and effort to see Yukino. Feeling a bit awkward and embarrassed, Kanade quickly switches the subject to something else, but clearly, answers in her mind that she would do it for Yukino. Sakuya, on the other hand, was a different story. Despite the effort and admiration Sakuya openly displays to Kanade, this does not affect Kanade whatsoever. In fact, she tends to either ignore or walk away from Sakuya. Her heart was more indulged in the thoughts of her twin sister, Yukino. While watching her sister train in the school’s swimming pool, Yukino starts reminiscing the days when they were younger, realizing that they had not done so many things together unlike before. Such things were having things that matched, doing the same activities and even sharing an umbrella on a rainy day. Although she feels a bit sad, Kanade shifts her mood into gratitude as she and her twin sister remained very close despite not doing the same things as before. While Kanade is stuck in a dreamy state with Yukino, even holding hands while walking, Sakuya quietly stalks them, wishing that she would be like that with Kanade as well. After remembering the days where she and Yukino shared an umbrella under the rain, Kanade becomes elated after seeing the weather forecast of heavy rains on the next day. But due to her excitement, she forgets that her umbrella was not in her club room locker and panics. While Yukino is busy with her swimming club, Kanade runs around the school in search of anyone who could lend her a spare umbrella. After what seemed like a never-ending search, Kanade encounters Sakuya and asks her about her relationship with Yukino. Not completely understanding her question, Sakuya asks Kanade if she was only allowed to date her if her relationship with Yukino goes bad and ends up hating her. Kanade then offers a smile, realizing that Sakuya was a better girl than she thought she was and quickly runs off to the school entrance to wait for Yukino. When the twins finally meet, Kanade directly apologizes to Yukino about forgetting her umbrella and explains that she would get one at a convenience store in the station. With a giggle, Yukino then takes out an umbrella from her bag and tells Kanade that they would share her umbrella instead. Feeling dumbfounded, Kanade asks why Yukino brought an umbrella. In reply, Yukino smiled and told her that she had a gut feeling Kanade wanted to share an umbrella because of the way she was grinning at the weather forecast. As they walk together under the care of one umbrella, Yukino tells Kanade that even if each of them had brought their own umbrellas, it would feel better to just to use one together. The two become overwhelmed with happiness as Yukino tells Kanade that she could just ask her normally if she wanted to do something together. 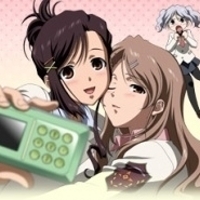 After these events, the Candy Boy series showcases the bond which Yukino and Kanade share while Sakuya is constantly stalking Kanade from not so far away. Later on, Yukino and Kanade’s little sister, Shizuku appears and expresses her envy on the twin’s closeness without her. Issues arise with Shizuku but thanks to Sakuya, these issues are solved. Sometime later, Kanade announces that she signed up for prep school which led Yukino to get a part time job in order to support her sister. Thanks to this, Kanade ends up feeling bad and alone because of the burden she gave to her Yukino and at the same time, because of the time they spent less with each other. During all of these events, both Yukino and Kanade finally realize and express their true feelings for one another. 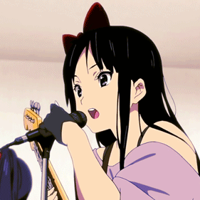 Yukino Sakurai (voice actor: Yuzuki Ryouka) is one of the Sakurai twin sisters and is the older one of the two. She is a sweet, silly and friendly girl who is openly affectionate to her twin sister, Kanade. Despite being the older one, Yukino often acts younger than her sister. She is an active member of their school’s swimming team alongside Sakuya Kamiyama. Although she is aware of how Sakuya feels about her sister Kanade, she is close friends with her and even exchanges Kanade’s pictures and personal items for gift certificates, candies, and gifts. Unlike Kanade, Yukino finds it easier to express how she feels and what her thoughts are – as evident in one situation where she told Kanade not to watch her practice during swimming club because it felt embarrassing. Her hair is a lighter brown color compared to her sister and lets it flow down loose. Her eyes are the same color as Kanade’s and she often wears light colored outfits. Kanade calls her Yuki-chan as a nickname. Kanade Sakurai (voice actor: Nabatame Hitomi) is the other half of the Sakurai twins and is the younger one. As compared to her twin sister, Kanade is more reserved, relaxed and mature, being the one who wakes up earlier and reminds her sister to be up for school. She belongs in the art club and enjoys sketching. Sakuya Kamiyama admires her greatly to the point that she tells Kanade that she is in love with her. But although Sakuya constantly expresses her love for her, Kanade puts her aside because of how she feels for her Yukino. She is rather secretive of the things she feels and thinks about, assuming that they might be too embarrassing to talk about. Whenever she gets excited about something, she does not tell Yukino what it is, especially if it is something revolving around her. 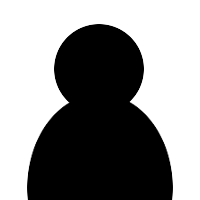 Unlike Yukino, Kanade has dark brown hair which she often ties up in a messy bun, and wears outfits that are either black or are darker in shade. Her sister, Yukino, calls her by her nickname, Kana-chan. Sakuya Kamiyama (voice actor: Kato Emiri) is Kanade’s number one admirer who often stalks her every morning. She is an underclassman, belonging in the first years, and despite this, she does not get embarrassed over expressing her feelings to Kanade who is clearly older than her. Just like Yukino, she is in the school’s swimming club. Even though Sakuya gets jealous of the very intimate relationship Yukino and Kanade share, she remains to be a good friend to Yukino and even dislikes the thought of having a bad relationship with Yukino just so she can date Kanade. Both the twins seems to enjoy her company and presence despite her overwhelming energy towards Kanade. Sakuya has silver white hair tied in curly twin tails with a red ribbon. She has sparkling blue eyes which watch over Kanade. 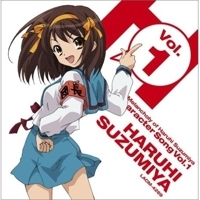 Shizuku Sakurai (voice actor: Kobayashi Yuu) is the younger sister of Yukino and Kanade Sakurai. She dislikes being away from both the twins but seemingly cares more about Yukino as compared to Kanade. Compared to her older sisters, Shizuku is more calm and sensible, being more mature than them despite her age. She does not usually show her emotions openly and keeps them to herself, but this changes later on. She has dark long hair similar to Kanade’s hair color and leaves it loose, wearing hair clips the same her older sisters have on their hair.